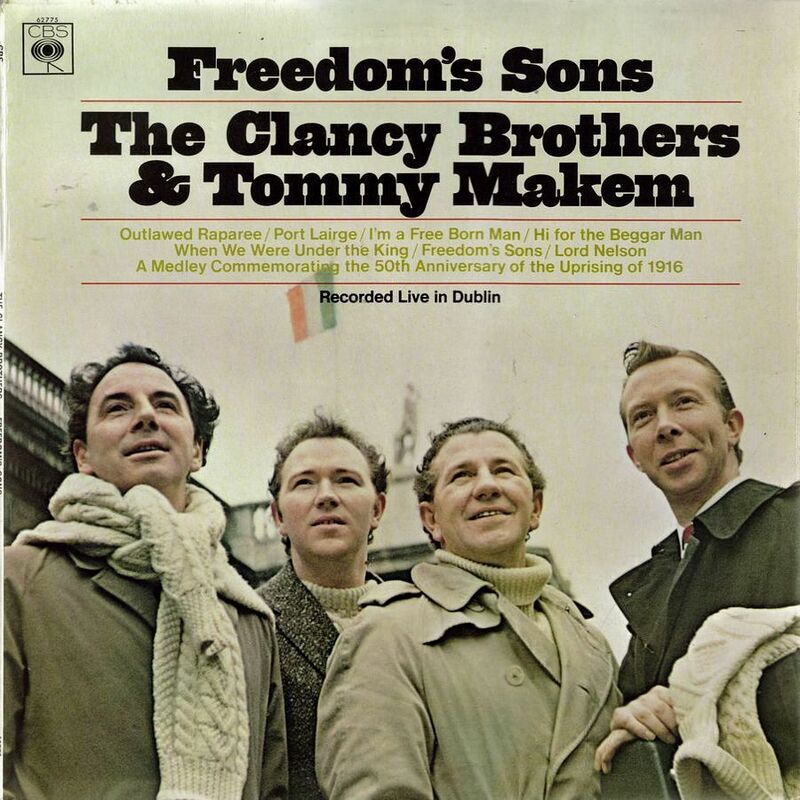 From Sean O'Casey's "Drums Under the Window"
From WB Yeats' "Easter 1916"
Arranged and adapted by the Clancy Brothers and Tommy Makem, unless otherwise noted. Just in time for St. Patrick's Day — and for any time you want to hear rowdy, rousing Irish songs — comes The Clancy Brothers and Tommy Makem's hale and hearty new album, FREEDOM'S SONS. What's more, it couldn't be more Irish. 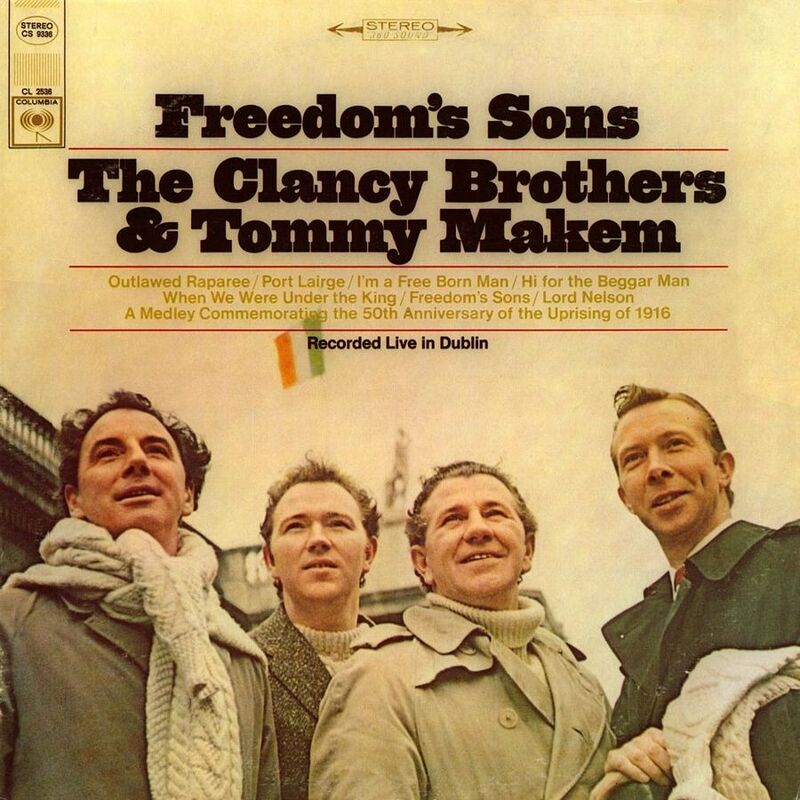 The Brothers and Tommy recorded it in Dublin at a concert in remembrance of the great Rebellion of 1916! You'll hear songs of heart-lifting protest, historical story songs and songs of passion for the Emerald Isle — Freedom's Sons, When We Were Under the King, Lord Nelson, a three-part Medley Commemorating the 50th Anniversary of the Uprising of 1916 and many more. Of course, you don't have to be Irish to enter into the glorious spirit of the proceedings. 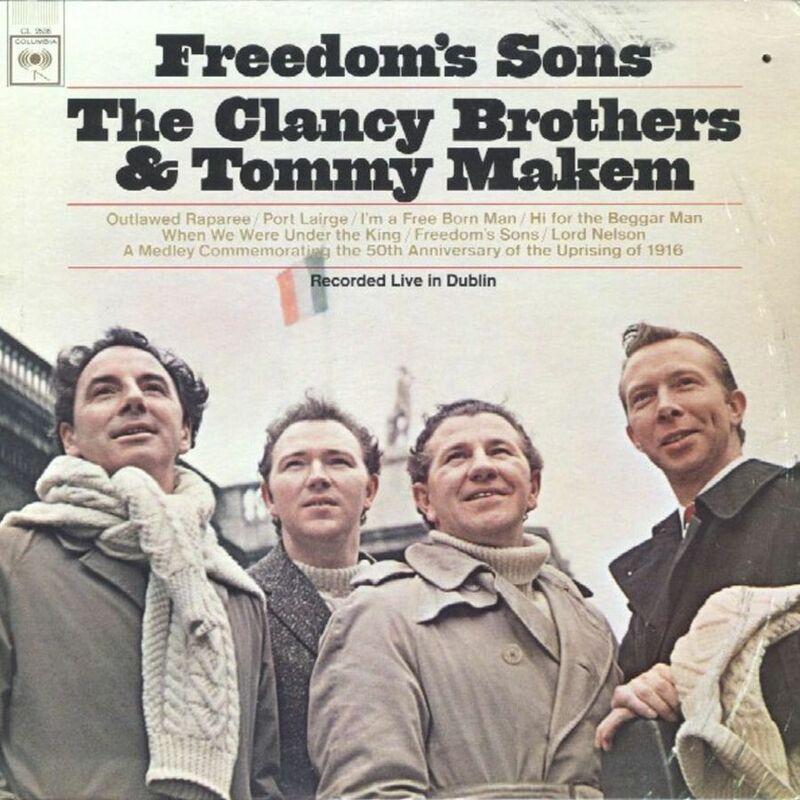 The moving and inspiring artistry of The Clancy Brothers and Tommy Makem will probably convince you that you've got more than a touch of the ould sod in your veins. And in your heart. Many of the spoken song introductions are longer. 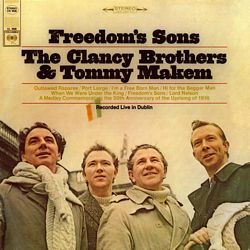 The song "Freedom's Sons" is the full version, and was edited on the American release. The song "Green in the Green" is omitted — and probably not even from this concert. 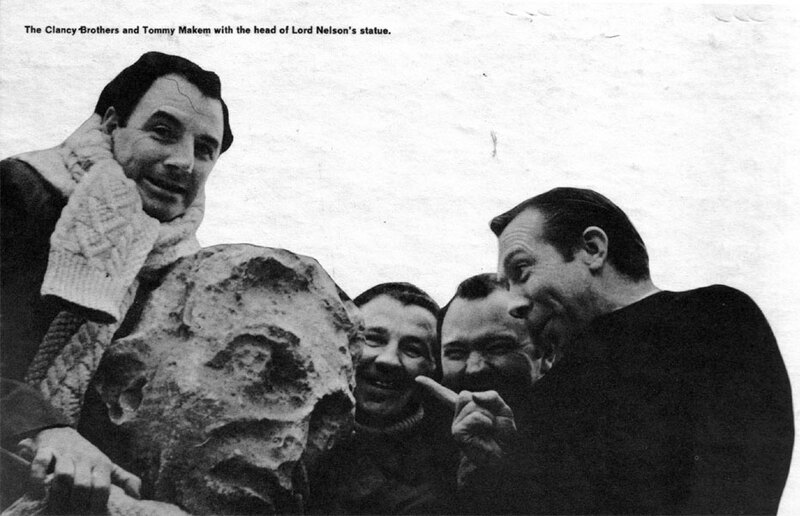 "The Fool" is added to the 1916 Medley. In my opinion, the UK release is the superior album.